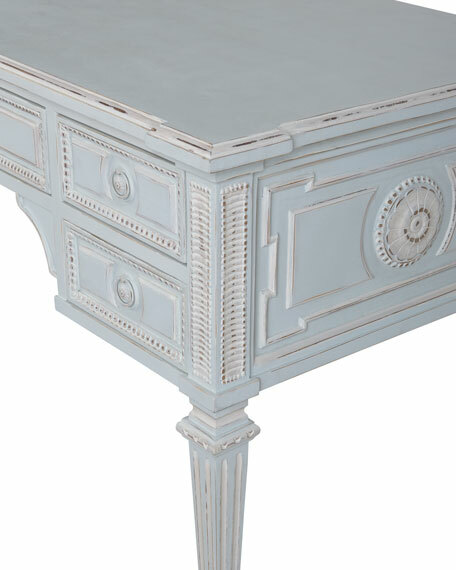 This Gustavian-style desk features a beautiful hand-painted finish with hand-carved details on all sides, and fluted legs. 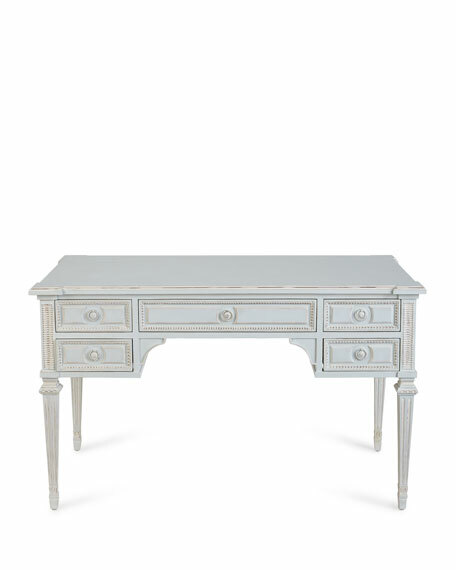 The desk provides plenty of storage with five drawers. Desk crafted of wood and brass. 52"W x 27"D x 31"T.
Boxed weight, approximately 103 lbs.